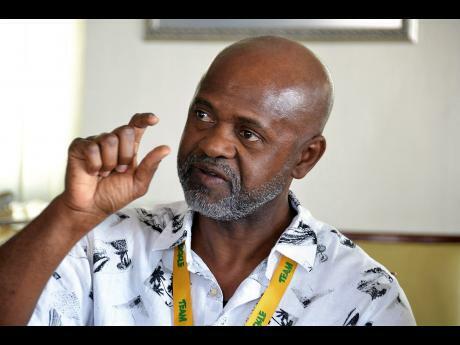 Chief executive officer of Team Jamaica Bickle (TJB), Irwine Clare Sr, says that after 24 years, his organisation remains committed to Jamaican high-school student athletes who attend the Penn Relays each year and has urged others to give their support in building Brand Jamaica. TJB is now providing a variety of services to Jamaican teams each year, including meals, physical therapy, chiropractic care, mentorship and other medical services, and ground transportation – daily hotel to stadium shuttle and airport transfers for arrival and departure. “We are doing this for Brand Jamaica,” Clare told a Gleaner Editors’ Forum last Friday. “We continue to reinvent the wheel. There is opportunity out there for support to get bigger … as the majority of the people at Penn Relays are from Jamaica. When you look at the stands each year, it is dominated by the Jamaica colours,” he added. Clare said the support at the Penn Relays is fed by a passion among Jamaicans. “I am speaking about the Jamaicans that are living outside of Jamaica. We view ourselves as the vanguards of Jamaica. Everybody believes we have a blueprint for success because they have seen the results,” he said. Clare said that every year it gets harder and harder to find funds, but it ultimately comes down to the commitment of those Jamaicans in the United States and those who are here to whom TJB can reach out. Clare said one of the tasks of his organisation was to make sure that Jamaica’s athletes not only win on the track but also in their daily lives. “We create good global citizens and we are committed to them,” Clare emphasised. Team Jamaica Bickle, Inc., (TJB) is a not-for-profit corporation based in New York State. The organisation was formed in 1994. Since that time has played an active role in the development and care of the athletes through its Hospitality Initiative. The organisation has also been a participating sponsor at the Penn Relays since 1999, and is the first Jamaican organisation to do so. Its pioneering work has brought recognition from the Penn Relays organisation, which resulted in the Jamaican flag being flown at the relays, a first for a foreign country. Over the years, the organisation has also received numerous awards from several local and national entities for its philanthropic services. This year’s Penn Relays will be held from April 26-28.